In June 2017 S4GA Management Team has hosted Director of R.M.B. Enterprises, an exclusive distributor of ADB / Safegate in Pakistan – Mr. Anees Ahmed. The companies agreed that R.M.B enterprise should start promotion of S4GA portable lighting systems for military forces in Pakistan. 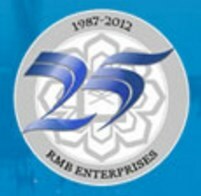 R.M.B Enterprises is a group of companies providing both Government and Non-Government sectors with integrated solutions in engineering, marketing, and procurement. The company is on the market for 25 years. Now the company is expanding its aviation business activities together with S4GA.